Facebook’s news feed ads are a prime example of native advertising. These news feed ads are expected to continue to generate a higher level of interest than standard ads. As a result, marketers are pushing the envelope to develop even more effective native advertising methods. At the same time, the Federal Trade Commission (FTC) has introduced new guidelines that every native advertiser should be aware of and consider learning. It is in their best interest to know what may be around the corner as it relates to their industry. 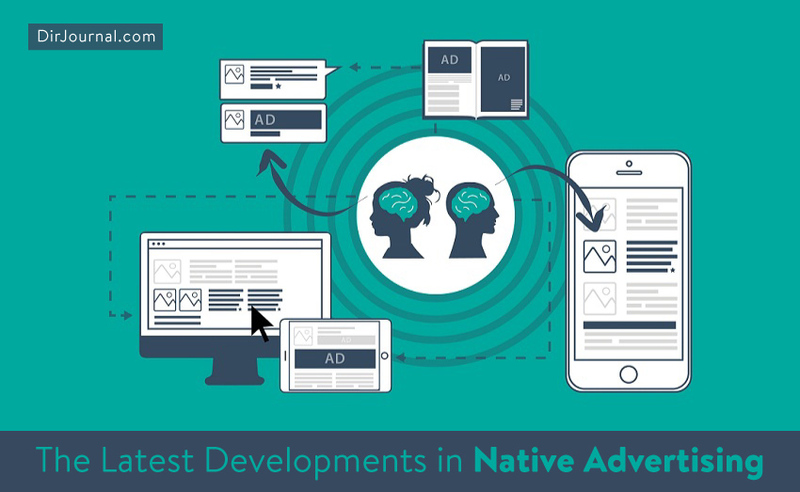 How Will Native Advertising Evolve? As with any other marketing method that has proven successful, native advertising needs to keep evolving to remain useful. This is true of anything that proves effective. It is as if the public becomes too used to it and they begin to look for something fresh. Speaking of “fresh,” one of the most intriguing new developments in the world of native advertising is the content recommendation widget (for example, WordPress widgets). These widgets are expected to become the next big thing in digital marketing (if they are not already defined as that now). The role of content recommendation widgets will not be to ask consumers, directly, to purchase something. Instead, website visitors will begin seeing widgets that contain content of interest that applies to the site in question. This should encourage them to look further, ending up in a potential sale. For example, if you are reading a blog about adult coloring, the content recommendation widget may say: “For more information on the latest adult coloring books, click here.” This message would be accompanied by an eye-catching image and overall design that blends into the blog’s template. By doing this, Internet users will feel more comfortable with the advertisement. As a result, the click-through rate will rise. It is important to note that content recommendation widgets can be used in a wide variety of ways, including pushing consumers to a new site or merely getting them to click to a different internal page. Again, the biggest component of these widgets will be their similarity to the concept and style around them, which will make them seem less obtrusive and more welcoming. In this way, content recommendation widgets are customizable in the same way as targeted Facebook news feed advertisements. How Much Are Businesses Investing in Native Advertising? In 2013, native advertising accounted for $4.7 billion of the year’s total digital marketing budget. By 2015, this number reached almost $8 billion, and there is truly no end in sight. In fact, experts have predicted that native advertising will reach a stunning $21 billion by the end of 2018. These numbers represent a five-year increase of almost 78 percent, and it is certain that content recommendation widgets will play a major role in helping native advertising achieve its full potential. As of December 22, 2015, the FTC has put new guidelines in place. These guidelines address the concept of how consumers may be viewing native advertising and specifically address that which consumers view as deceptive. It is vital to note that these guidelines are not law, per se, but they could still impact advertisers. Although the FTC has made it clear that almost any format can cross the line, they are specifically targeting native advertising that is attached to a few specific formats. These formats include consumer reviews, scientific research, and news articles, to name a few. So what does this mean for companies who utilize native advertisements? The FTC wants all of these ads to be immediately identifiable as marketing, with either a prominent disclosure or obvious sales language. However, the reality is that none of these native advertisement guidelines are law. Due to that fact, it is highly unlikely that most marketers will take the FTC’s viewpoint as seriously as the FTC would like. In other words, you can expect to see the usage of native advertisements and content recommendation widgets continue to grow for the foreseeable future.